CTIMe SC2000 – Crest Test Systems Pvt. Ltd. Circuit breakers are used in power generation and distribution networks as protective devices. They also perform the function of controlling, protecting, and isolating various electrical equipment and machinery used in industrial applications. They switch off the electrical circuit if an over current or short circuit occurs. If a circuit breaker takes too long to open, it could be catastrophic as it could cause equipment damage and danger to people. Circuit breakers are mechanical components consisting of a number of moving parts, springs, washers, and linkages. Over a period of time, due to wear and tear, loss of lubrication, and ingress of dirt and other foreign materials these components may get jammed and prevent the circuit breaker from operating. Measurement of the operating times of a circuit breaker is one of the important tests performed during periodic maintenance of a circuit breaker. First generation systems that were used for timing measurements made use of oscilloscopes for recording the timing curves. However, modern second generation equipment make use of digital timers with time-pulse conversion for measuring the circuit breaker operating times. CTIMe SC2000 is a microprocessor-based second generation circuit breaker time interval meter. 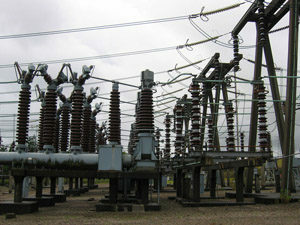 It measures the closing, opening, and CO times of various types of circuit breakers up to 400 kV. The equipment is capable of testing up to six Main and six PIR contacts at a time. CTIMe SC2000 has a compact and lightweight construction. This makes it ideal for operation under hostile EHV switchyard conditions and offers reliable measurements for periodic maintenance and inspection. Charger output: 13.5 VDC, 1000 mA Max. IEC 1010-1 Safety requirements for electrical equipment for Measurement, control & laboratory use. IP 54/IEC 529 Weather Proof Standards. IEC 68-2/ IS 9000 Basic Environmental Testing Procedures covering shock, bump and vibration tests.